The Rank Organisation was a British entertainment conglomerate founded by industrialist J. Arthur Rank in April 1937. It quickly became the largest and most vertically integrated film company in Britain, owning production, distribution and exhibition facilities. It also diversified into the manufacture of radios, TVs and photocopiers (as one of the owners of Rank Xerox). The company name lasted until February 1996 when the name and some of the remaining assets were absorbed into the newly structured the Rank Group Plc and in the years that followed asset stripping and streamlining of the business has left it a shadow of its former self, with all their remaining operating interests now in gambling. The company logo, the Gongman, first used in 1935 by the group's distribution company General Film Distributors and seen in the opening titles of the films, became an iconic film emblem. J. Arthur Rank, born in Kingston upon Hull, UK, was already a wealthy industrialist through his father's flour milling business, Joseph Rank Ltd, when he made his somewhat unlikely start in film-making, financing short religious subjects in line with his Methodist beliefs. From these modest origins, the British film company emerged in 1937 as Rank sought to consolidate his film-making interests. 1939 - Denham Film Studios were merged with the facilities at Pinewood and the Amalgamated Studios in Borehamwood were acquired, but not used for making films. 1941 - Purchase of the Gaumont-British Picture Corporation, which also owned Gainsborough Pictures, 251 cinemas and the Lime Grove Studios. In the mid-1940s Two Cities Films became part of the Rank Organisation producing key films such as Odd Man Out (1947), Hamlet (1948), Vice Versa (1948) and The Rocking Horse Winner (1949). 1966 - Rank Xerox - Joint venture entered into with Haloid Corporation of America (Xerox Corporation), to manufacture and promote its range of plain paper photocopying equipment. Many of the waning film company assets were hastily converted and pressed into 'Rank Xerox' service. This venture was a huge gamble but ultimately the company's saving grace, until, once more in financial difficulties, it signed off increasing percentages of its holdings, to the parent company, finally becoming fully integrated into Xerox in the late 1990s. A loose collective of film makers was established under the banner of Independent Producers Ltd., employing some of Britain's greatest directors, such as Michael Powell and Emeric Pressburger (Black Narcissus, The Red Shoes, I Know Where I'm Going! ), David Lean (Brief Encounter, Great Expectations), Frank Launder and Sidney Gilliat (I See a Dark Stranger, The Happiest Days of Your Life), Ken Annakin (Holiday Camp) and Muriel Box (The Seventh Veil). The Company of Youth, the Rank Organisation acting school often referred to as "The Charm School", was founded in 1945. It launched several careers including those of Donald Sinden, Dirk Bogarde, Diana Dors and Christopher Lee. Although she was not a member of the school, Petula Clark was under contract to Rank for a period of time and starred in a number of films released by the studio, including London Town (1946), one of the costliest flops in British film history. Also under contract to Rank was the Canadian actor Philip Gilbert. Despite backing some excellent films, Rank was in crisis by 1949, having built up a debt of £16 million. and reported an annual loss of £3.5 million, Managing Director John Davis cut staff, reduced budgets and concentrated film production at Pinewood. Other studio facilities (in Islington) were closed, sold (Lime Grove Studios) or leased (Denham). The Rank Organisation closed Independent Producers Ltd. The policies of Davis alienated many in the industry, in particular they led film director David Lean, responsible for some of Rank's most critically and financially successful films, to look elsewhere for backing. In 1949, the company bought the Bush Radio manufacturing facility and began to diversify its interests. In the early 1960s Rank took over Murphy Radio to form the Rank Bush Murphy Group (which was eventually sold to Great Universal Stores in 1978). In 1956 Rank began a partnership with the Haloid Corporation to form Rank Xerox. Rank was also a significant shareholder in the consortium which became Southern Television, the first ITV television contract holder for the south of England. In the late 1950s, Rank set up Rank Records Ltd. (the record label was named Top Rank) and Jaro Records (a US subsidiary). In 1960, Top Rank was taken over by EMI, and in 1962 they replaced it with Stateside Records. Top Rank artists included Gary U.S. Bonds, the Shirelles, B. Bumble and the Stingers, Wilbert Harrison, Skip & Flip, Andy Stewart, Craig Douglas and John Leyton. Rank Audio Visual was created in 1960, bringing together Rank's acquisitions in multimedia, including Bell and Howell (acquired with Gaumont British in 1941), Andrew Smith Harkness Ltd (1952) and Wharfedale Ltd (1958). Subsequent acquisitions included Strand Electric Holdings (1968) and H.J. Leak & Co. (1969). In the mid and late 1970s Rank Audio Visual made a 3-in-1 stereo music centre, as well as TV sets in conjunction with NEC of Japan. The production of the "classic" Rank TV ran in the mid to late 70s, some interim models appeared and the "modern" Rank TV appeared in the early 80s. The NEC badge did not appear in the PAL/ 220/ 240 volt countries until the mid-1980s. J. Arthur Rank had stepped down as managing director of the Rank Organisation in 1952, but remained as chairman until 1962. From the 1950s fewer adventurous films were attempted and solidly commercial ventures, largely aimed at the family market, were made instead. These include the popular Norman Wisdom comedies, the Doctor films series and later on, Rank took on the Carry On film series. However some films of note were produced during this era including Carve Her Name with Pride, Sapphire and Victim, as well as a clutch of prestige topics such as the Coronation of Queen Elizabeth II and filmed performances by the Royal Ballet. During the 1950s the British photographer Cornel Lucas set up the Pool Studio at Pinewood where he photographed many of the movie stars of this era of cinema, such as Marlene Dietrich and David Niven. In 1960 John Davis announced that Rank would concentrate on bigger budgeted, internationally focused productions. In 1961 they announced a production slate of a dozen films worth ₤7 million. From 1959 to 1969: the company made over 500 weekly short cinema films in a series entitled Look At Life, each film depicting an area of British life. From 1971 to 1976 Rank only invested around £1.5 million a year in film production. According to executive Tony Williams "the two main streams that they were down to was Carry On pictures and horror films made by Kevin Francis". However, in 1976 Rank enjoyed much success with Bugsy Malone (which they co-produced with Paramount Pictures, who held its American rights). This encouraged them to re-enter film production. In 1977 Rank appointed Tony Williams head of production and over two years Rank made eight films worth £10 million, including Eagle's Wing, The Shout, The Thirty Nine Steps, Riddle of the Sands and Silver Dream Racer. Many of these stories were set in the past. "You have to go back in time to tell a story that doesn't have to face seventies problems," said Williams in 1978. "What people are nostalgic for isn't necessarily any particular period, but the happier values that are missing today." At the Cannes Film Festival in 1980 Ed Chilton of Rank announced a £12 million slate of projects. However, by June they withdrew from production once again. "The decision was made to plunge on in and then it was pulled back," said Williams. The Rank films that had been announced for production - including an adaptation of HMS Ulysses, The Rocking Horse Winner and a film version of To the Manor Born - were cancelled. The following year Rank reported a record pre-tax profit of £102 million. After a time Rank Film Distributors was in trouble because they hadn’t got any new product. So Rank Film Distributors was then given chunks of money to go and buy into pictures because they made a blunder. And they carried on, on that basis, not directly making them and they had no direct control over what they made at all, no influence. They just bought into pictures. They did an output deal with Orion and that carried on until - until they sold the shooting match. Then the decision was made to get out of film, so RFD was closed down, Rank Film Advertising was sold off, eventually the laboratories went. Cinemas was the last one to go. In 1995, the Rank Group acquired all the outstanding shares of the Rank Organisation. ↑ "Film Industry Slipping Out Of The Big Money.". The Sunday Herald (Sydney, NSW : 1949 - 1953). Sydney, NSW: National Library of Australia. 1 January 1950. p. 7 Supplement: Features. Retrieved 7 July 2012. ↑ "Cornel Lucas Collection website". Cornellucascollection.com. 1920-09-12. Retrieved 2012-06-09. ↑ Powell, Dilys. "Bigger Films to Come." Sunday Times [London, England] 10 Jan. 1960: 15. The Sunday Times Digital Archive. Web. 18 Apr. 2014. ↑ BRITAIN'S SCREEN SCENE: Encouraging Survey, Rank's Dossier -- Footnotes on Three Luminaries By STEPHEN WATTS. New York Times (1923-Current file) [New York, N.Y] 23 Apr 1961: 129. ↑ Can Rank say they 'proudly' present this film? Barker, Dennis. The Guardian (1959-2003) [London (UK)] 26 Nov 1977: 17. ↑ FILM CLIPS: Harvey: Movies Back to Back KILDAY, GREEGG. Los Angeles Times (1923-Current File) [Los Angeles, Calif] 12 Apr 1978: f8. ↑ The lucrative case for believing in yesterday The Guardian (1959-2004) [London (UK)] December 18, 1978: 11. 1 2 John Huxley. "Losses of £1.6m sound the knell for cinema production." Times [London, England] 7 June 1980: 17. The Times Digital Archive. Web. April 16, 2014. ↑ "Would You Believe an Industry Could Die?" Sunday Times [London, England] 15 June 1980: 63. The Sunday Times Digital Archive. Web. 16 Apr. 2014. 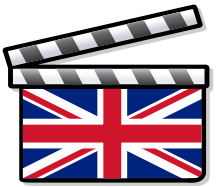 ↑ Rank to Quit Film Production, Halting Work on 8 Features: Major British Film Maker Duty on U.S. Films By JOHN HOLUSHA. New York Times (1923-Current file) [New York, N.Y] 7 June 1980: 27. Geoffrey Macnab, J. Arthur Rank and the British Film Industry, London, Routledge (1993), ISBN 0-415-07272-7. Alan Wood, Mr. Rank, London, Hodder & Stoughton (1951).